Kitchen Renovators Kamloops | Home | Living Kitchens Ltd.
Have your kitchen transformed by Living Kitchens Ltd., Kamloops’ trusted kitchen renovators! 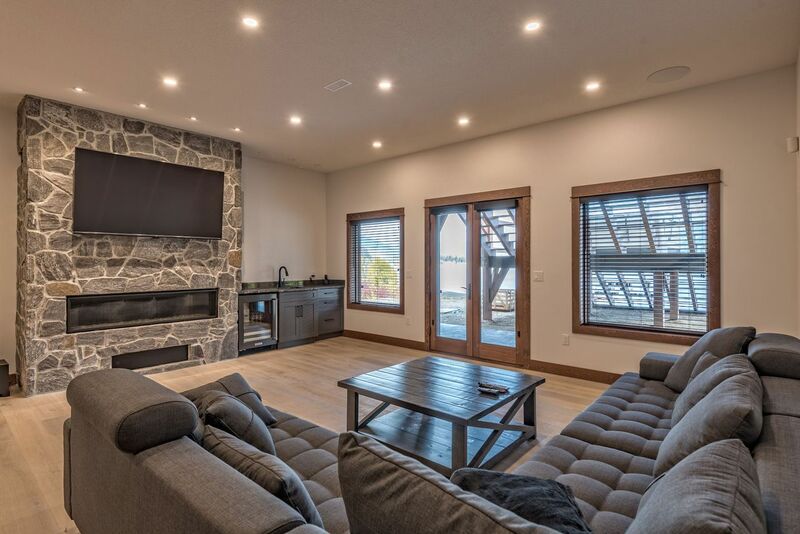 Since 1989, our family owned and operated company has provided stunning custom cabinet designs and construction services to residential and commercial clients in Kamloops and the surrounding area. Whether you’re building the home of your dreams or starting a renovation project, Living Kitchens Ltd. offers kitchen cabinets, vanities, laundry cabinets, media rooms and much more, all at competitive prices. Our team of skilled craftsmen will manufacture your cabinets locally, right here in Kamloops. Visit our showroom and let us help you bring your project to life. Call us today! We’re proud to work on new construction and renovation projects big and small, including residential and commercial properties. Browse our gallery to see some of our previous projects! Custom cabinets cost less than you may think! Our qualified designers will guide you through the design and estimate process, ensuring your vision will bring breathtaking results. We will gladly provide an initial free estimate on any project. In the summer of 2014 I contacted Brian Vermey of Living Kitchens indicating I was planning a kitchen renovation. Brian directed me to Carmen How Kitchen Designer at Living Kitchens and that was the beginning of a wonderful experience. Carmen transformed the cramped, inefficient kitchen of my 1973 era house into a functional, beautiful working space that I will enjoy for years to come. Carmen accommodated my ideas, was ever mindful of my budget, suggested and advised alternative solutions, and respected my tastes. She optimized use of space, identified potential conflicts, and added style. It is remarkable the difference a professional designer such as Carmen can make to a kitchen. I couldn’t be happier with the results. A huge thank you to Carmen and the team at Living Kitchens. Over the past several years I have had the pleasure to work with Penni and Living Kitchens on many occasions. From renovations on tight budgets to high end luxury homes, Penni gives the same friendly informative service. She gives a fresh eye to layout and design that helps right from the planning stages, all the way through to completion. Living Kitchens provides the best in customer service, always there for any questions, with an informed answer, and a quick response. They are a pleasure to work with! I cannot express how much we are enjoying our new kitchen. In addition to making previously unused space functional, we now have enough space to bring out and store the appliances that we never had space to use. In the last three months (since we've installed the cabinets) I've baked more than in the three years we've lived in our house! It's such a joy to have a kitchen that's more than just functional; we now have a kitchen that's a joy to be in, one that provides enough storage for all of our needs and that's absolutely beautiful to boot! I'm excited for our "kitchen parties" now, and I feel that I have a kitchen that's truly the heart of our home. Alvin and the Living Kitchens team supported us every step of the way, from answering our millions of questions to giving us helpful guidance throughout the design process, and outlining all the options available to make sure we got the best kitchen possible while respecting our budget. They took care of all of the details - even the ones we didn't know about - and supported us every step of the way. I would have no hesitation whatsoever to recommend Living Kitchens to anyone who is looking for professional service in upgrading, redesigning, or renovating their kitchen. Make your dream cabinets a reality. We provide a customised approach to your kitchen cabinetry requirement. Add the perfect vanity for your bathroom that suits your needs. We offer a wide range of entertainment units for your living room. Custom office cabinetry for your office, reception area or commercial space. Spice racks, wine storage and drawer inserts, we have them all.